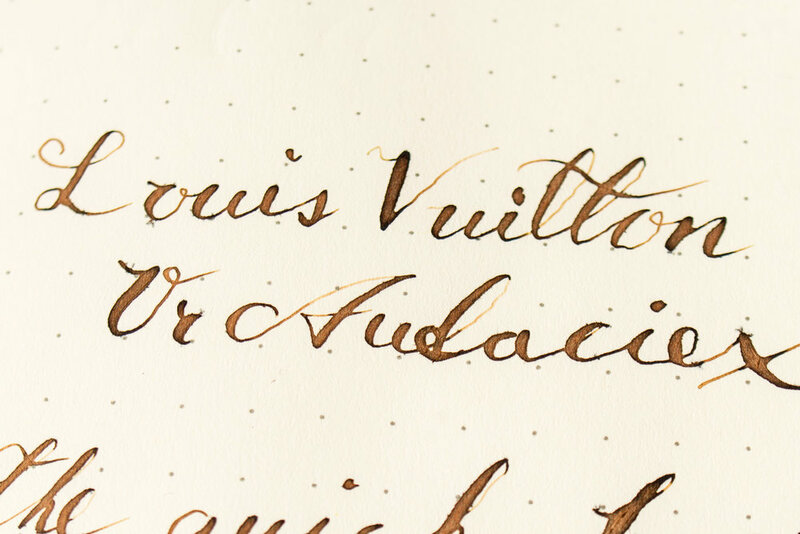 A while back I found out for one of my favorite fashion brands (As long as you skip the monogram things) Louis Vuitton, Actually had ink for fountain pens. I was quite surprised, but of course I just needed to get a hold of a bottle of their ink. Especially as the bottles looked amazing. There was however a problem, the inks seemed impossible to find. I looked in a physical store and also in different online stores (different countries have different offerings), but to no avail. I even called the Swedish branch, but they couldn't get a hold of any ink either. Then I remembered that my brother's girlfriend actually worked at their head office in Paris, so of course I also asked her. The answer I got was however once again a no. The thing was however but that's what's all the rouse, Instead she and my brother got a hold of a couple of bottles of ink and brought them to Sweden as a gift the next time they visited. I must say that this may have been the best gift ever. 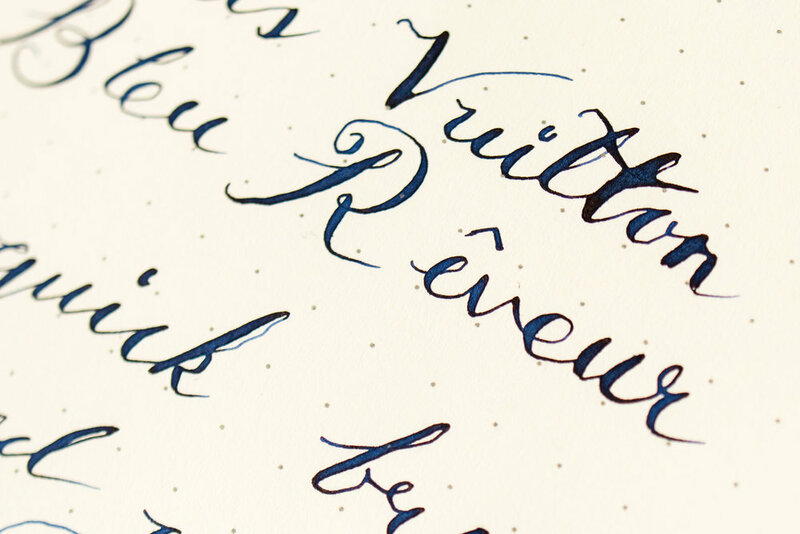 The two inks I got were Bleu Rêveur (Dreamy Blue) and Or Audacieux (Audacious Gold) and even if I won’t do a review of them here I must say that Bleu Rêveur went up to one of my top blue inks ever, and I have a lot of blue inks! Both inks are wet, well behaved and the blue has really nice shading. Newer PostI can't cook, but I love this pan.